Ethics, Social Media, and Lawyers: 8 Tips to Stay in Line with the ABA – Web Presence Esq. 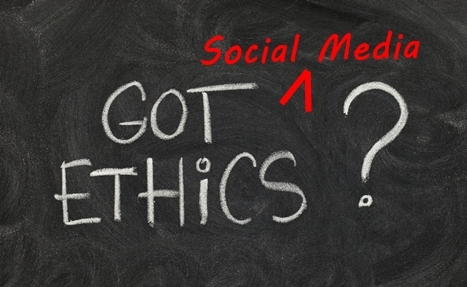 Many attorneys are [wisely] concerned about the ethical considerations that go along with having active Social Media accounts, including blogs. With the power to seriously mess with a lawyer’s ‘active and in good standing’ status, the State Bar is not a group to be messed with. As licensed attorneys, the Social Media professionals at WebPresence, Esq. understand the necessity of maintaining an ethically-sound Web Presence. The ABA has finally acknowledged the place of Social Media in the legal world. The ABA’s House of Delegates — its governing body — considered the recommendations of the ABA Commission on Ethics 20/20, which has proposed revisions to the Model Rules of Professional Conduct to address changes in technology. Social Media for Lawyers is the present – and the future. You don’t have to be afraid of the powers of Social Networking as long as you, or your Social Media team, is aware of the ethical pitfalls and approaches your Social Media campaign with a bit of common sense and professional awareness. Read on for tips on how to stay out of trouble when utilizing Social Media to build your law practice. 1. NEW MEDIA, SAME OLD RULES. Otherwise known as don’t mislead or misrepresent, and an extension of #1, honesty is [supposed to be] a founding block of every legal practice. When you take your practice online, the same rules apply: Don’t lie, cheat, or say anything to misrepresent yourself and/or your practice or services online. Not only can you NOT share client confidences on the Internet (sounds obvious, but this public defender’s license was suspended for blogging ‘anonymously’ about her clients), it is wise to not form – or attempt to form – attorney-client relationships online. Does this mean you can’t answer consumer questions in Q&A forums like Avvo? Not at all. The Ethics 20/20 Commission takes a sensible approach to this issue, suggesting that the danger of forming such a relationship only exists when the lawyer gives the prospective client a “reasonable expectation” that he or she is willing to form an attorney-client relationship. Use these forums to get new business, but remember to use disclaimers and cautionary language and not provide legal advice. Consider Social Media an opportunity for you to network, build new relationships, and otherwise grow your practice. While ethical rules prohibit lawyers from using the world wide web to solicit potential clients for pecuniary gain, merely engaging with the public in an online forum is not considered solicitation. There is a difference targeting your comments at a specific individual with the intent to have them perceived as an offer to provide legal services (solicitation) and providing useful, educational information to interested men and women. While you might know all about how DUIs are handled in Virginia, if you are not licensed to practice there, refrain from providing legal advice in Virginia. This may seem like a nitpicky point, but err on the side of caution and stick to the state you are licensed in when educating about the law. Remember, there is a difference between educating and advising – employ it in your law firm’s online presence. While having a former client or colleague post a loving tribute to your expertise or service can be invaluable, tread cautiously. Each state has its own rules regarding statements made by others about the value of your services, so make sure that you or your Social Media marketer clearly understand these guidelines. On a broader level, ABA Model Rule 7.2 states “A lawyer shall not give anything of value to a person for recommending the lawyer’s services.” Provided nothing of value is exchanged between you and your colleague/client, both can freely endorse you on LinkedIn, Avvo, etc… But can an attorney promise to provide an endorsement if the other lawyer promises to endorse him in return? Probably not a good idea; that quid pro quo could be seen as an exchange of value. As tempting as it is to keep your Twitter followers up to date with the progress of your client’s trial, tweet lightly. ABA Model Rule 3.6 limits what a lawyer can say about his or her own cases. The rule states that you cannot say anything that “will have a substantial likelihood of materially prejudicing an adjudicative proceeding in the matter” and this includes statements made on the web. We know a quite a few lawyers who take to their firm’s Facebook pages, Twitter feeds, and blogs to taint the jury pool before trial starts and then disparage opposing counsel and even the jury throughout trial. Not only is this poor form, it could get you in trouble with your state bar. Sometimes, less is more. This might seem like common sense (another great tip to employ when using Social Media for law firm business development! ), but it bears mentioning: stay informed to stay out of trouble. If you understand how the social web works, you will be less susceptible to typing something that you will later regret. Remember, deleting a comment doesn’t actually remove it from the Internet. Don’t let something you said in haste or frustration come back to bite you down the road.